Today in GeoTalk, we’re talking to Xavier Fettweis, an award-winning climate scientist from the University of Liège. He tells us about his work on the Greenland ice sheet. First, could you introduce yourself and let us know a bit about your current projects at the University of Liège? As a child, I was already interested by the meteorology thanks to a small weather station installed at my parents’ house. After graduating in 2000 with a Master’s in Mathematics at University of Liège (ULg, Belgium), I continued my training with a post-graduate diploma in climatology and meteorology at the Université Catholique de Louvain (UCL, Belgium). Captivated by climate modelling and the cryosphere, I started a PhD at UCL in 2001, investigating the Greenland ice sheet (GrIS) surface mass balance (SMB) with the help of the regional climate model MAR (for “Modèle Atmosphérique Régional” in French). Since my return to ULg in 2007, I have been continuing my work on modelling the climate and SMB of Greenland in the Laboratory of Climatology at ULg as a post-doctoral researcher. In 2010, I had the opportunity to join the team of Professor Michiel van den Broeke at Utrecht University, The Netherlands. Working in such a team was very stimulating and a great experience for me. I haven’t yet a fixed position at ULg but I hope to get it soon for continuing my fascinating research about the GrIS here. Xavier Fettweis out on the ice. 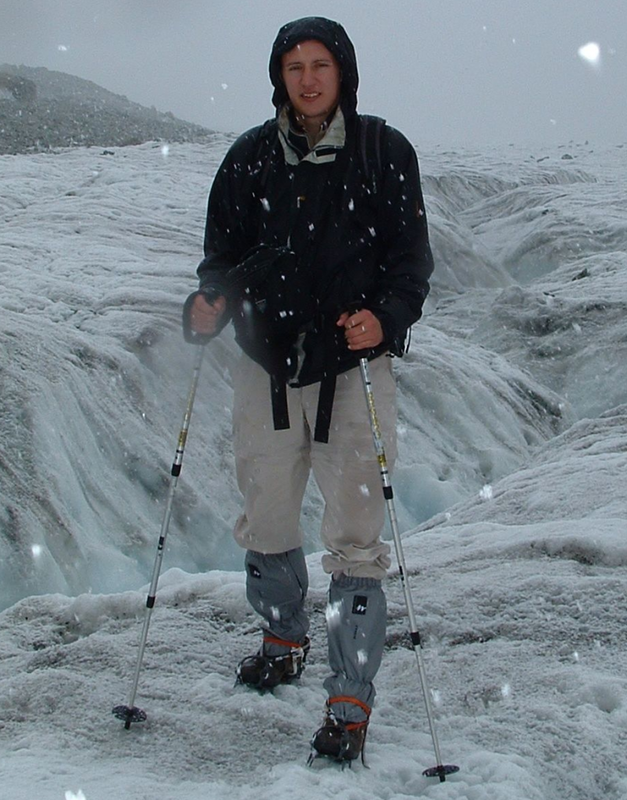 During the EGU General Assembly, you received an Arne Richter Award for Outstanding Young Scientistsfor “fundamental contributions in understanding and quantifying the current and future surface mass balance of the Greenland ice sheet”. Could you summarise your work in this area? Since the start of my Phd in 2001, I have improved the regional climate model MAR for especially studying the GrIS surface mass balance (in first approximation, the SMB is equivalent to the snowfall-meltwater run-off) at high resolution (25 km). I’ve had the opportunity to build on my PhD research during my post-doc. To calibrate the MAR model over current climate (1958-2012), I used in situ ice sheet measurements and satellite derived data (melt extent, albedo etc.). I also coupled model results with a circulation-type classification to show the important role of the general atmospheric circulation in the recent melt records (2007-2012) observed over the GrIS. Over time, the MAR model has become one of the reference regional climate models currently available for simulating the GrIS SMB. The MAR outputs are now used as forcing or comparison in most of the studies about the recent changes in the GrIS SMB and my SMB future projections have been chosen as reference in the ICE2SEA project for forcing ice sheet models (to produce an output that is needed to run other models). These projections will be used in the next IPCC assessment report as evaluation of the sea level rise coming from changes in SMB of the GrIS. How has atmospheric circulation influenced the recent melt of the Greenland Ice Sheet – what can we expect for the future? In a recent paper in The Cryosphere, we have shown that about 70% of the recent (1993-2012) surface melt increase over Greenland is a result of changes in general circulation in summer that can be gauged by the North Atlantic Oscillation (NAO) index. The remaining 30% comes from the global temperature increase. Since the end of the 90s, the NAO index has been decreasing in summer (June-July-August). Such negative NAO phases favour warmer and drier conditions than normal over Greenland and mainly explain the recent melt increase. The general circulation models (GCMs) from the CMIP5 database (that will be used in the next IPCC assessment report) don’t project NAO changes in summer for future. This suggests that the current summers with a negative NAO index are just a result of natural variability. However, the probability of having the current observed succession of summers with negative NAO indices is extremely low with respect to the observed NAO time series starting in the 1820s. This suggests that the GCMs could be wrong. The Greenland Ice Sheet. Photo Credit: Christine Zenino (source). Sensitivity experiments with the MAR model using perturbed oceanic conditions (sea surface temperature (SST) and sea ice cover (SIC)) suggest that the current circulation changes in summer could be induced by SST increases and SIC decreases caused by global warming. 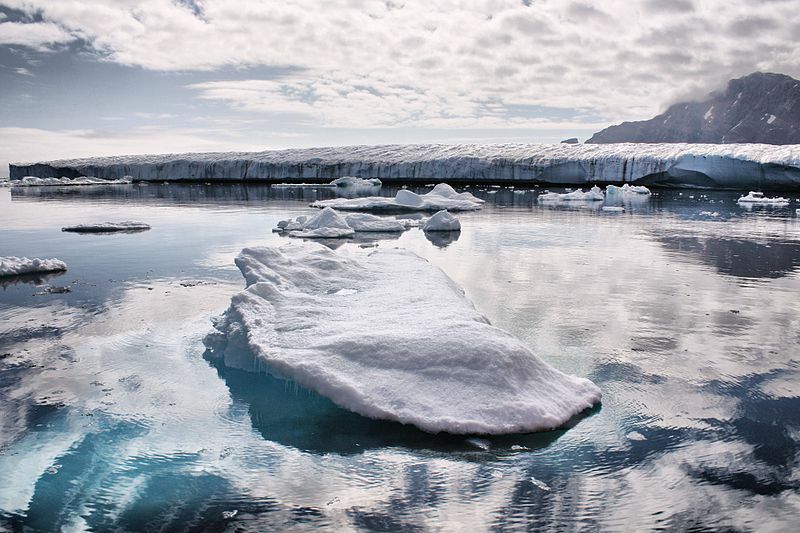 We could imagine that this positive feedback could be amplified in future, enhancing the melt increase over Greenland and mitigating summer climate changes over Europe. However, more research needs to be carried out to confirm this likely NAO-circulation-SST feedback. Climate research is a competitive and highly active field – do you have any advice for young scientists about to get going in this area? With the next IPCC assessment report to be published in the near future (Autumn 2013), every climatologist has wanted to make future projections to include in this report, but before performing future projections we need to better understand the current climate variability. If a model fails to reproduce the current climate, its projections are lacking in reliability, particularly because the response of the climate to warming is not linear. Most of the general circulation models (GCMs) fail to simulate the current climate variability because the response of the climate to a greenhouse gas increase is far away to be obvious as expected several years ago. Therefore, a lot of progresses still needs to be done to develop our understanding of current climate variability. With a better training in IT than before, young scientists could significantly improve climate modelling. What do you hope to work on in the future? I would like to continue my research on the Greenland ice sheet at ULg. Studying GrIS is enthralling because a lot of things have been changing since the 1990’s. The Greenland community is small, but very much like a family and, after several years in this field, many of them have become friends as well as collaborators. With the help of my small team at ULg, I plan to also apply the MAR model to the other ice sheets, such as Antarctica, Svalbard, Ellesmere, and to couple MAR with ice sheet models for being able to simulate the total ice sheet mass balance (not only the surface mass balance). I have an only regret: I have never been to Greenland because modelling does not need to be on the field but I hope to have the chance soon to walk over the ice sheet. If you’d like to suggest a scientist for an interview, please contact Sara Mynott.